of sunlight caress the valley floor. Reading, I shiver in the Upcountry chill. at each bridge to let traffic pass. I see, drinks the tired eye in. 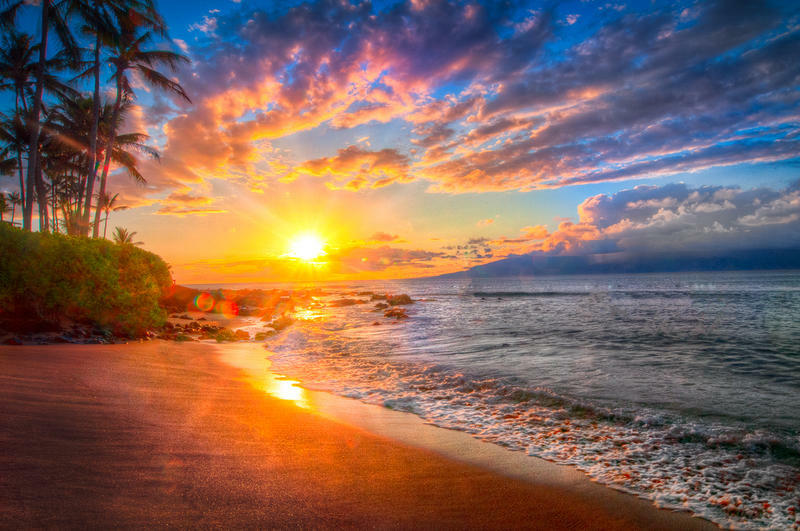 In 2000, my wife and I moved to the island of Maui, having never even visited the islands before. My first impressions didn't match my visions of a tropical paradise at all. We arrived just after the cane harvest, so we were greeted with expansive fields of exposed red earth. Driving through the ramshackle surfer town of Paia for the first time, with red dust swirling around wood slat storefronts, it felt like we had arrived in the Australian outback. But you know, over time, I really came to love the aina, the land of Hawaii. I wasn't a beach dweller; my wife and I lived high up along the slopes of Haleakala Volcano, among the misty forests of eucalyptus and wattle. Every human structure was kind of run down, but there was something... normal about that. Even the trophy mansions hidden behind iron gates felt somehow temporary, just passing through on a slow current. As I began to give in to the rhythms of life on the island, a quiet and ease settled into my body in a way I'd never known before. We lived there for four years before returning to the mainland.